Emanuel Bat Joshoua is an entertainer, producer and entrepreneur. She has made her mark developing and staging a series of major performance events that received international media attention from outlets including SKY News, CNN and many others. Over the past decade Emanuel has played a major role in transforming the lives of individuals facing eviction from their homes and those lacking some of the most basic living necessities – most of them, women and children – all of them capable, talented, and motivated. Yet, they found themselves in hopeless and desperate situations, broken financially and emotionally. By providing assistance in the form of financial support and emotional self-empowerment, hundreds if not thousands have been given the chance to once again become productive members of society, and are today standing strong and confident on their own. A few years ago, Emanuel Bat Joshoua had an epiphany, brought on by the realization that humanity was spiraling out of control. She was struck by the state of the world and its people – the rise in poverty, hunger, injustice and conflicts. She imagined a world free of the insanity of war and bloodshed – a world where people could place their energies toward creating rather than destroying. But she asked herself, what could she do to make this dream a reality? One woman, one voice. Mahatma Gandhi once said, “You may never know what results come from your action. But if you do nothing, there will be no result.” His words could very well have served as the spark that ignited her desire to, “In a gentle way…shake the world,” but she credits a spiritual reawakening that has transformed her life. She has embraced the idea of social responsibility in its truest form; has studied to become more committed to finding solutions that actually solve problems – not just mutes them. This year she has set about starting a revolution – a personal, peaceful revolution — and she would like to invite You to join her movement. 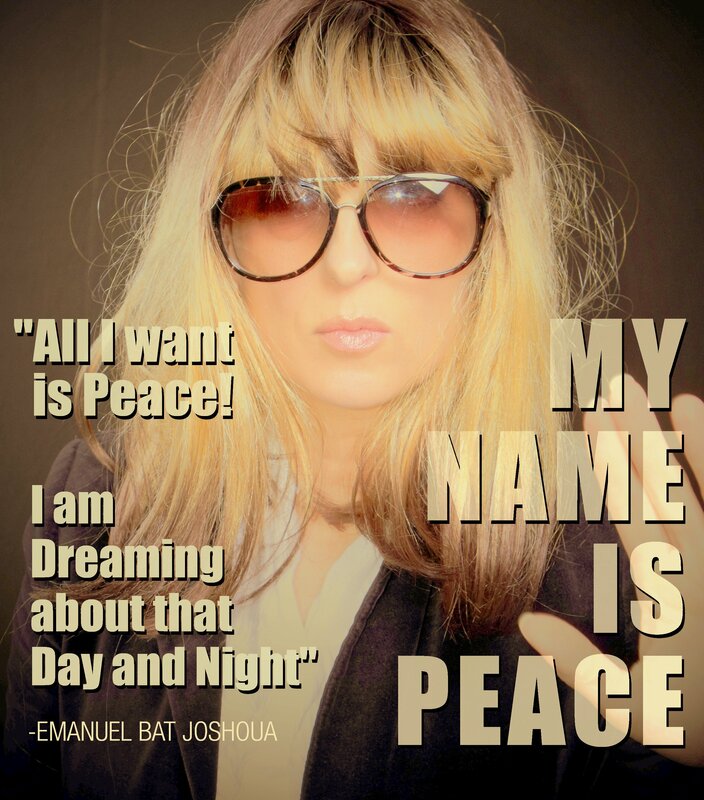 My Name is Peace is the first step in mobilizing individuals around the world who are vested in finding peaceful solutions to the problems confronting their communities and society at large.